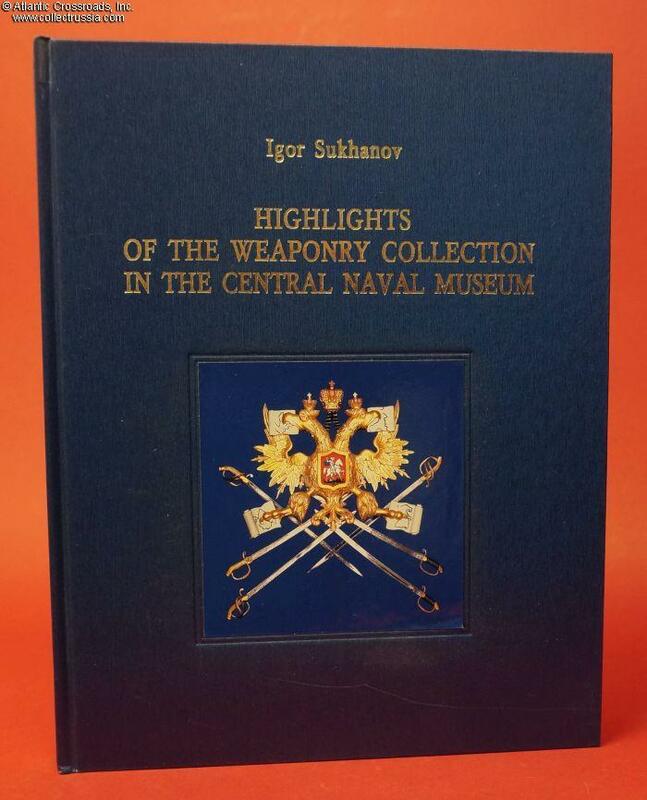 "Highlights of the Weaponry Collection in the Central Naval Museum" by Igor Sukhanov. 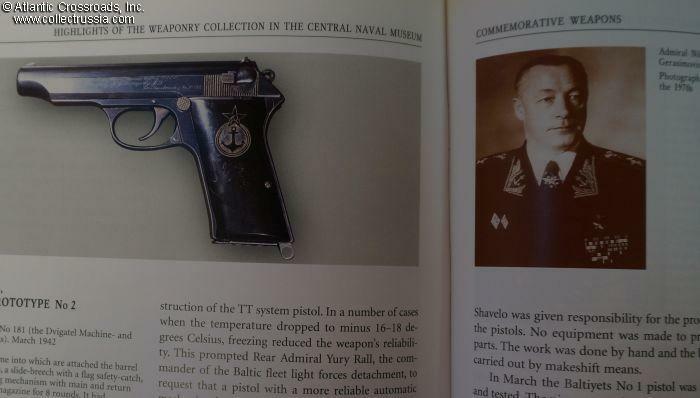 "Highlights of the Weaponry Collection in the Central Naval Museum" by Igor Sukhanov. 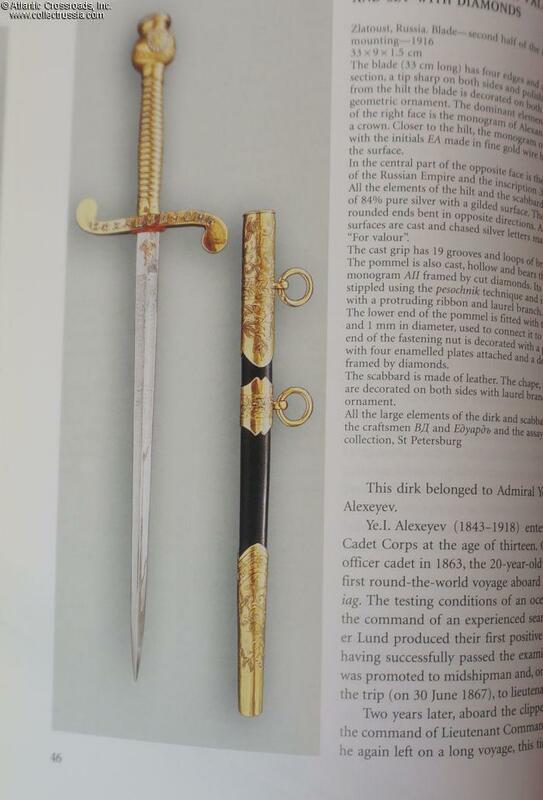 Richly illustrated English language book on Naval Edged Weapons with a backdrop of Russian Naval history. A most extraordinary book of very high quality. 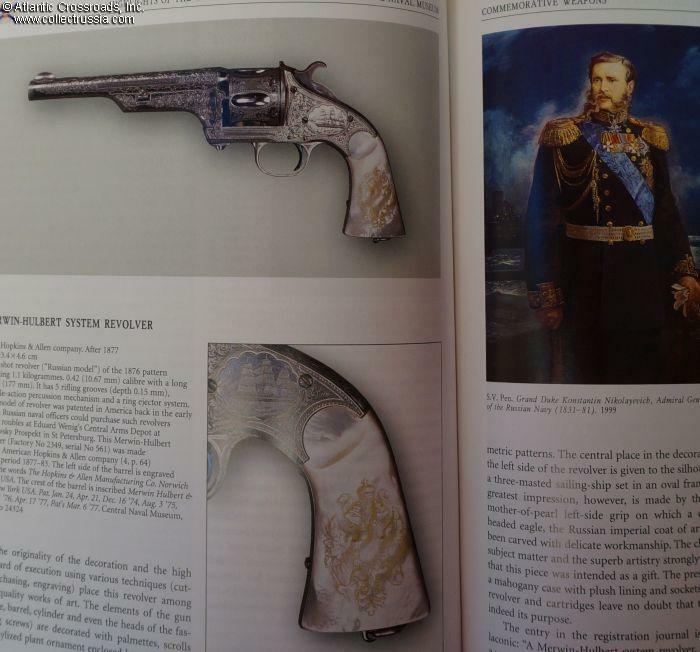 Commemorating the 300th Anniversary of St. Petersburg, published in 2002. 208 pages, hardcover. 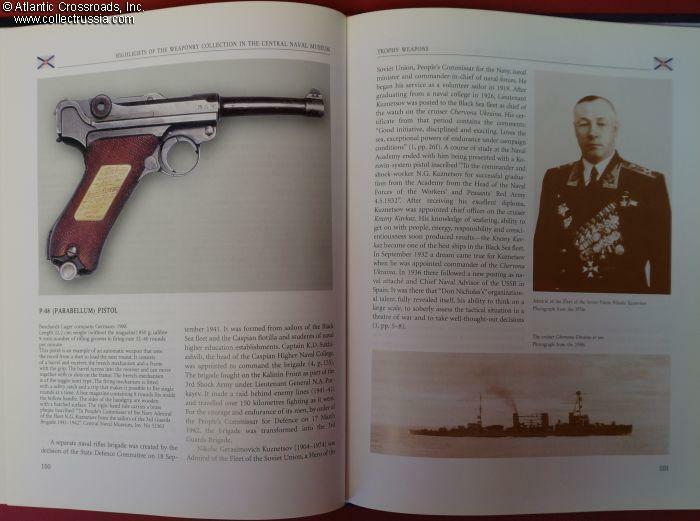 Hundreds of illustrations, including superb color photos of rare, unique and historically significant edged weapons and other small arms spanning the entire history of the Russian Navy. 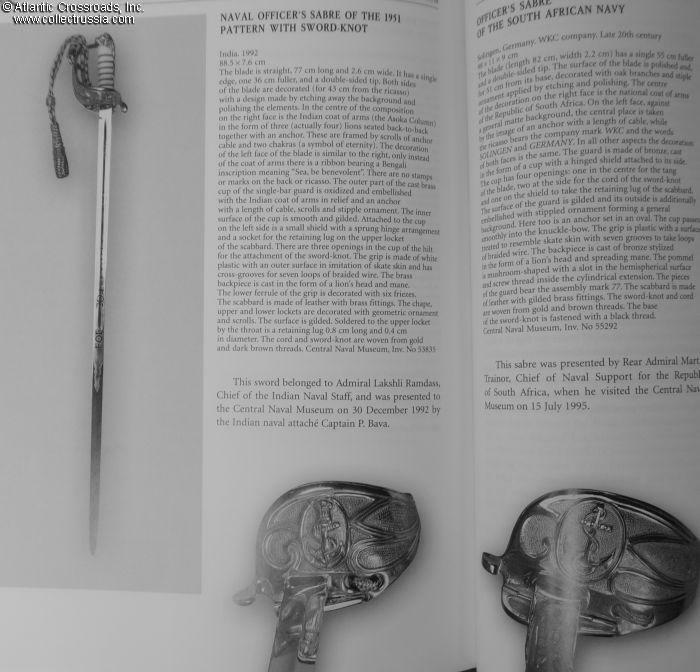 The author has skillfully superimposed historical events and museum artifacts, showing how these weapons are each a unique link to history. 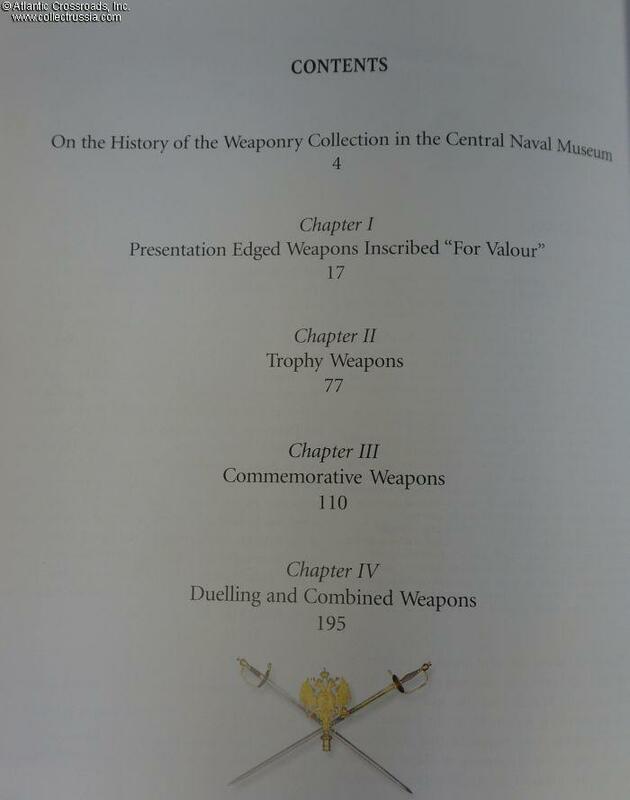 A treatise that will inspire a true collector, and a fabulous reference work and guide to collectible naval weapons. 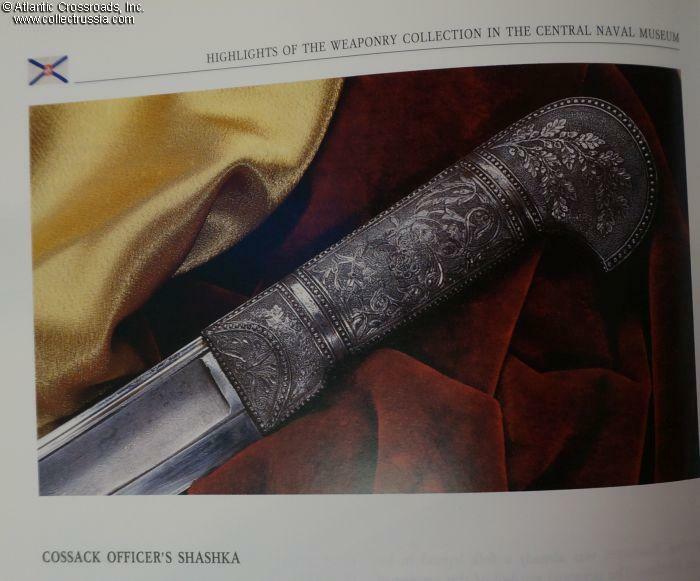 Includes swords, daggers, pistols, pikes, & cannon. Limited edition. Only two copies presently available, both with minor shelf wear to the cover, excellent otherwise.